Just when I thought I’ve exhausted the marshmallow’s usefulness, I stuffed some with peanut butter. 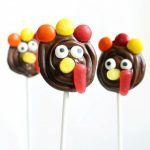 And dipped in chocolate. And rolled around in more stuff. And added a stick. Peanut butter stuffed marshmallows are seriously delicious folks. Find this no-bake dessert HERE at Tablespoon. You’ll find the full instructions over at Tablespoon. 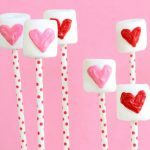 This is a very easy way to spruce up a marshmallows. Simply rotate a knife (greased with Crisco!) in the top of a marshmallow to make a divot. Fill a Ziploc or a disposable decorating bag with peanut butter, snip the tip, and pipe to fill the divot. 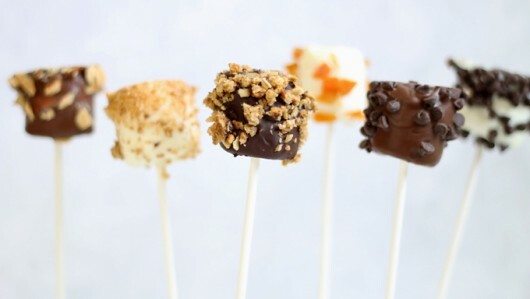 Skewer the marshmallow on the non-peanut butter side with a lollipop stick and dip in melted chocolate. 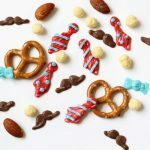 If desired, sprinkle some very finely chopped toppings on the chocolate, such as crumbled granola bars, graham crackers, or nuts. 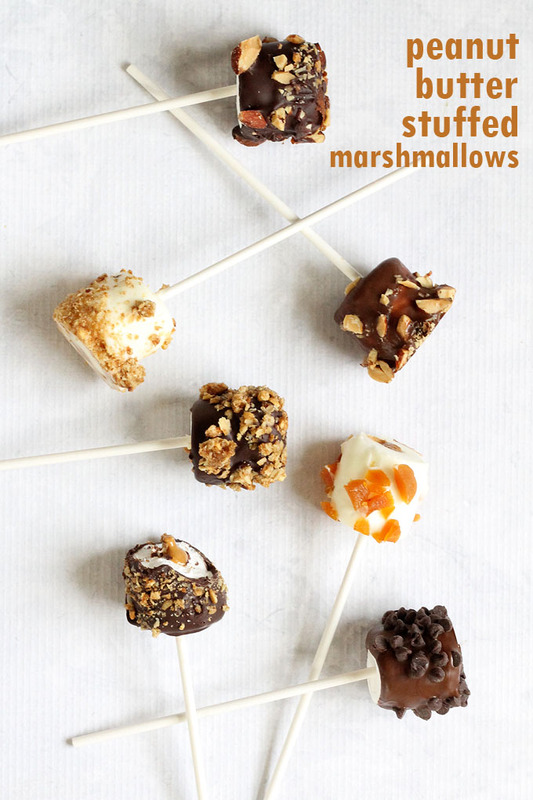 Rest the marshmallow top-side down on a baking tray lined with wax paper until set. You can chill if you like, to set the chocolate more quickly. There is NOTHING not to LOVE about these! 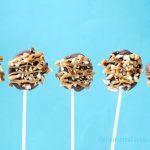 You’ve done it again Meghan..peanut butter, marshmallows and chocolate..oh my! 🙂 My best supporter, thank you Karen! !